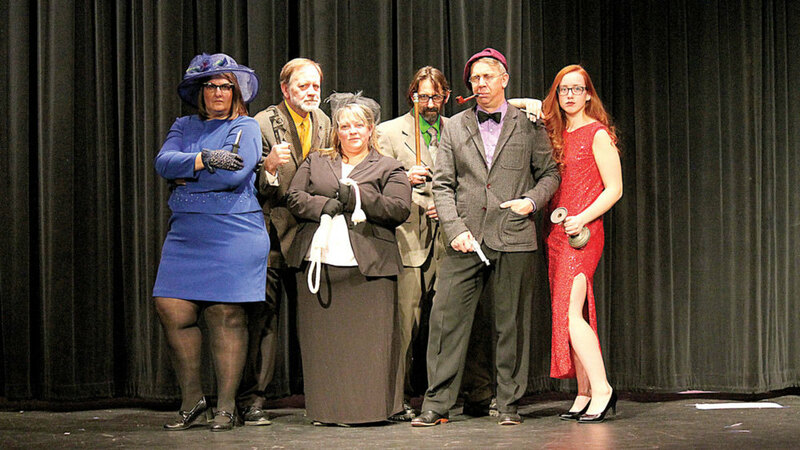 The board game, “Clue” comes to life, on stage, with the Curtains up Theatre’s production of “Clue on Stage”. It’s a dark and stormy night, and you’ve been invited to a very unusual dinner party. Each of the guests has an alias, the butler offers a variety of weapons, and the host is, well…dead. So whodunit? Join the iconic oddballs known as Miss. Scarlet, Professor Plum, Mrs. White, Mr. Green, Mrs. Peacock, and Colonel Mustard as they race to find the murderer in Boddy Manor before the body count stacks up. Based on the cult classic film and the popular board game, Clue is a madcap comedy that will keep you guessing until the final twist. The production of “Clue on Stage” will run January 18, 19, 25 and 26, 2019 at 7pm and January 20, 2019 at 2 pm. All productions will be held in the Iva Walker Auditorium located at the James A. Garfield high school. The show is based on the Paramount Pictures motion picture and based on the Hasbro board game “Clue”. The screenplay is by Jonathan Lynn and additional material by Hunter Foster, Eric Price and Sandy Rustin.Permission granted by Broadway Licensing. Tickets are available at the door, for Adults - $10.00, seniors over 65 and children under 12 - $8.00 and groups of 15 or more, for the same day, are available for $5.00 per person. This production is sponsored by Ryser Insurance and Ohio Health Benefits. For more information visit garrettsvillecurtainsuptheatre.com or contact 216-375-0709.